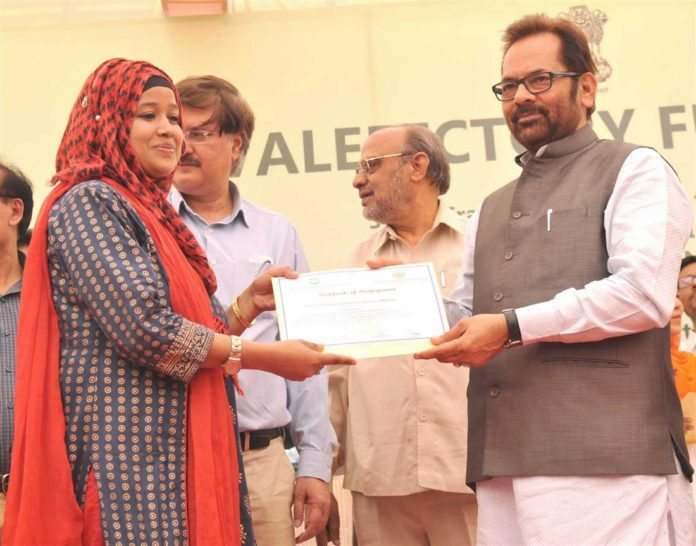 New Delhi: Union Minority Affairs Minister Shri Mukhtar Abbas Naqvi today launched a training programme to link Madrasa teachers with the mainstream education system. Shri Naqvi said that for the first time, such training programmes will strengthen Prime Minister Shri Narendra Modi’s message to have “Quran in one hand, computer in other hand”. Minority Affairs Ministry, in collaboration with Jamia Millia Islamia University, has organised residential training programme for 40 Madrasa teachers and distributed certificates after completion of training. These teachers will provide mainstream education like- Science, Maths, Computer, Hindi, English etc. Shri Naqvi said that it’s a matter of pleasure that more than 50 per cent of these teachers include women teachers. The objective of programme was to instil teaching and communication skills to the participants. Other lectures included were on latest teaching and assessment techniques. He also said that the Government has launched a campaign on war footing to link minority communities’ educational institutions including madrasas with mainstream education system. The Ministry of Minority Affairs has been working with commitment to “3E- Education, Employment & Empowerment”. 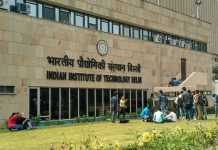 In the last about six months, thousands of educational institutions of all Minority communities including Madarsas, have been included in the mainstream education system by connecting them with “3T-Teacher, Tiffin, Toilet”. The residential training programme of Madarsa teachers of the Northern Region was organised by Maulana Azad Education Foundation in collaboration with Jamia Millia Islamia, New Delhi from 22-27th March, 2018. The training programme was attended by around 40 participants from Northern states like Uttar Pradesh, Rajasthan, Haryana. The Minister also chaired 57th General Body and 100th Governing Body meeting of Maulana Azad Education Foundation.